A divorce that we think of as “traditional” involves both parties separately hiring their own attorneys to represent their best interests. This often happens when both of the parties are unable to come to an agreement on issues like property division, child custody, or child and/or spousal support. Depending on the issues to be decided, a traditional divorce can take the longest time of any type of divorce to be finalized. In especially contentious cases, hiring an attorney is a good idea since each lawyer can present his or her client’s interests to the court. Even in a more amicable divorce the parties may be better off hiring an attorney to represent them. Hiring an attorney is often good idea for situations where the divorcing couple has a large amount of assets, property or other complicated financial matters. How is divorce mediation different from a traditional divorce? Unlike a traditional divorce or dissolution, divorce mediation takes place outside of a court. The county legal system has only minimal involvement in the matter. Divorce mediation uses a neutral third party--known as a mediator--to help the people dissolving their marriage to reach a peaceful compromise that they can both agree on. Divorce mediation provides a structured process by creating a non-confrontational atmosphere. Divorce mediation encourages both parties to present their thoughts and concerns to each other in a place that is free of friction and defensiveness. A divorce mediator tries to resolve the same issues as an attorney--child custody, property and asset division, spousal support as well as child support and visitation. Unlike an attorney, a divorce mediator does not argue for or represent a particular side, but rather works to make sure both spouses come to a mutual agreement. While each divorce mediation is different--and since the parties don’t have as many issues to resolve, the process usually isn't as time consuming as a traditional divorce--most divorce mediators follow a similar pattern. Each divorce mediator has his or her own preferences in the way the mediation is conducted, but this arrangement still has structure, however. At minimum, you and your spouse meet with the mediator who will try to help you negotiate particular issues that are important to you. The three of you--you, your spouse and the mediator--may sit down in a room together or the mediator may prefer to meet with each party separately and act as “go between” for negotiations. Some divorce mediators combine both methods. These methods include private meetings with each party, as well as joint negotiations with both spouses together. In either case, the divorce mediation will usually require several sessions over a number of weeks or months. This ensures that both parties are satisfied with the outcome of the divorce mediation arrangements. It’s important for you to remember that divorce mediators are not judges, arbitrators or referees. Divorce mediators don’t make rulings or decisions about legal issues. They don’t decide who “wins” and who “loses.” Divorce mediators are simply there to guide the parties during their negotiation, not make the decisions for them. If you’re a good candidate for divorce mediation, you’ll find that it often has advantages over a divorce that is left up to the rulings of the court. Divorce mediation is often faster and can reduce your total legal fees. It also gives the opportunity to come up with a personalized settlement appropriate for you and your spouse’s unique situation. Every divorce mediation works differently, but here are the main differences between using a divorce mediator versus a lawyer. 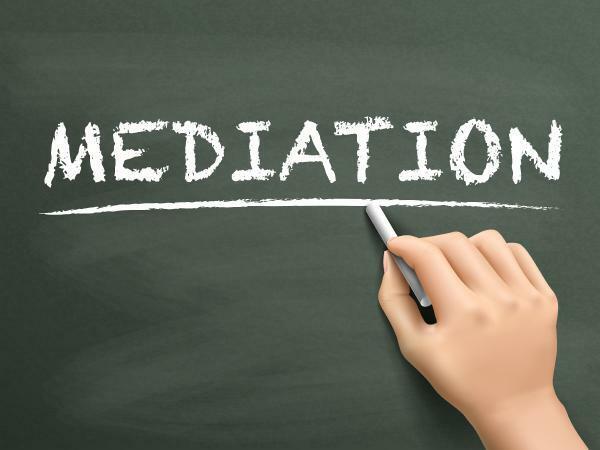 Mediators provide financial and legal information to help the negotiating couple make their own decisions, lawyers give legal advice and frequently tell their clients what to do. Mediators don’t take sides. They advocate for both spouses and their children. A lawyer is only able to represent one spouse. An attorney is required to “fight” for his or her client, no matter how it may affect the other spouse or the couple’s children. A mediated divorce only takes a few months, and the timeframe is usually influenced by the people who are doing the negotiating. A contested divorce argued by two lawyers representing separate parties can take over one year to complete. The longer a divorce takes, the more expensive it gets. The outcome of a lawyer-driven contested divorce has no guarantees as to how it will end up. The major decisions are completely left up to the judge--which usually means one party ends up unhappy with the outcome. In mediation, both spouses have a direct say in what terms go into their agreement, so they both decide the outcome if the divorce arrangements. Divorce mediation is a confidential and private process. Your divorce will still be public record, but all of the details negotiated through divorce mediation will remain private and only known to the parties directly involved. Everything in traditional divorce litigation is a matter of public record. Every accusation made, every contended point and every piece of dirty laundry that you may have will be available for public consumption. Does an attorney play any role in a divorce mediation? People often believe that divorce mediation is a complete and lawyer -free process. Even if you are able to reach a settlement during divorce mediation, you should still consult an attorney for additional advice and before formalizing any agreement reached in a divorce mediation. You can always learn a lot about your legal rights while doing research, but consulting with a divorce attorney will get you answers specific to your particular situation. Act as a legal consultant. During divorce mediation you can ask your attorney any questions you may have about the process. Your personal divorce lawyer can also help you with negotiation techniques and may be able to come up with solutions you haven’t thought of. Read over any agreements. An attorney can review any written agreements prepared by the divorce mediator to make sure the document is a legally binding one. He or she can also make sure that the document you are going to sign reflects your wishes as discussed in the negotiation process. Prepare legal documents. An attorney can communicate with the court, helping you prepare the papers for an uncontested divorce once your divorce settlement agreement is reached. In most cases, you will also still need to hire an attorney to shepherd your divorce through the county’s legal system. What qualities should I look for in a mediator? Many states do not have license or certification requirements for divorce mediators. Neither the state of Ohio nor the Supreme Court of Ohio licenses or certifies divorce mediators. Individual domestic county courts may set additional qualifications for mediators in their local court rules, however. If you decide to try divorce mediation, be sure to interview the mediator and get current references from them. Also check what courses or classes the divorce mediator has taken, any certifications he or she may have and the number of divorce mediation cases handled that resulted in mutual agreement between parties. Ohio also doesn’t require divorce mediators to be attorneys or paralegals. Many divorce mediators have counseling backgrounds and/or degrees in social work. If they are not a divorce attorney, you should check to see if they belong to any national or state associations. Most of these associations will require certain standards to be maintained by the divorce mediator, including continuing education courses At the minimum, the divorce mediator should be very familiar with the particular divorce and custody laws of your state. As with a divorce attorney, you should feel comfortable with and confident in the abilities of the divorce mediator. Your spouse needs to feel the same way about the mediator, otherwise you will have little chance of cooperation and success in a divorce mediation. Even if your divorce mediator is an attorney, each spouse should still have a separate attorney, independent of the divorce mediator. Doing this will make sure that the divorce mediator remains neutral and that another attorney can review the divorce mediation agreement just to make sure that no areas have been overlooked. It is also an ethical issue if an attorney both mediates for you and represents you in court. If your divorce mediator is not a lawyer, you will still need a divorce attorney to draft the legal documents that are required by your local county courts. Divorce mediation isn’t appropriate for every couple, and it can have several disadvantages when compared to a traditional divorce. Although divorce mediators are supposed to be unbiased, it can be common for one party to feel that another party is being favored during the divorce negotiations. Couples with large or complicated assets may also find it easier for a divorce attorney to handle their case due to all of the legal issues involved. Some people may feel that it is worth the time and money to make a point or assert their rights instead of compromising in a divorce settlement. Finally, if your spouse withholds any information during the divorce mediation, you don’t have the legal recourse that would be available to you in county court with a divorce attorney. When should I use a lawyer instead of a mediator? Even though a traditional divorce can often cost more money and take more time than a divorce mediation, there are often cases where divorce mediation is just not appropriate. Your spouse won’t mediate. One party can’t force the other to participate in a divorce mediation process. The divorce mediation process is a voluntary one, so you both have to be willing to participate in it. If you are willing to mediate but your spouse is not willing to do so, you will have to find a different divorce method other than mediation. One of the parties is incapacitated. If one spouse has a neurological issue such as Alzheimer’s disease, or is a current or recovering addict, they definitely need an advocate and should get an attorney to represent them for any negotiations. Divorce mediation involves the parties’ abilities to make decisions that are in their best self-interest. Both parties participating in the mediation process should have the capacity to do so. Fears for safety or history of mental, physical or emotional abuse. Unfortunately, safety can sometimes be a concern in some divorce cases. Your safety--and if applicable the safety of other family members--should always be your number one concern. If you are afraid for your safety or if there is a power imbalance in the relationship that makes you afraid to express your needs due to retribution from the other party, then divorce mediation is not a good idea. If there is a restraining order in effect on one spouse, it will make sitting in the same room and engaging in divorce mediation pretty much impossible. One or both of the parties can’t agree. If you have already started the divorce mediation process, but are unable to come to a compromise on any of the issues that are important to you, then you probably need to hire a divorce attorney. Mediation just doesn’t work for some people, even if they think it will. You believe that your spouse may be hiding assets. One of the most important things about the divorce mediation process is that it requires transparency from both parties. Divorce mediation should always be done in good faith. If you feel that your spouse is hiding assets from you, or that their business dealings are not above board, you should hire a divorce lawyer to handle your situation, not a divorce mediator. For a divorce mediation to succeed, all parties must agree to the process. As long as both spouses are able to behave appropriately in mediation, as well as indicate what issues are important to them, the mediation process can be a good alternative to a traditional divorce. If these criteria are met by both spouses, then a divorce mediation may just work for them. Have any questions about mediation? 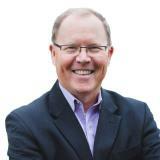 Besides being an Ohio divorce attorney, Jack is a certified mediator with several years of experience. Contact Jack’s Law Office at (740) 369-7567 to learn more.